The icon, activist, famous, infamous and Nelson Mandela's second wife, Winnie Mandela, has died at age 81. As a staunch anti-apartheid supporter, Winnie stayed by her then-husband Nelson Mandela's side as he was imprisoned for 27 years on Robben Island. She campaigned for his release and for the rights of her black countrymen throughout that time, and wrecked havoc - in both good and questionable ways - upon his release. 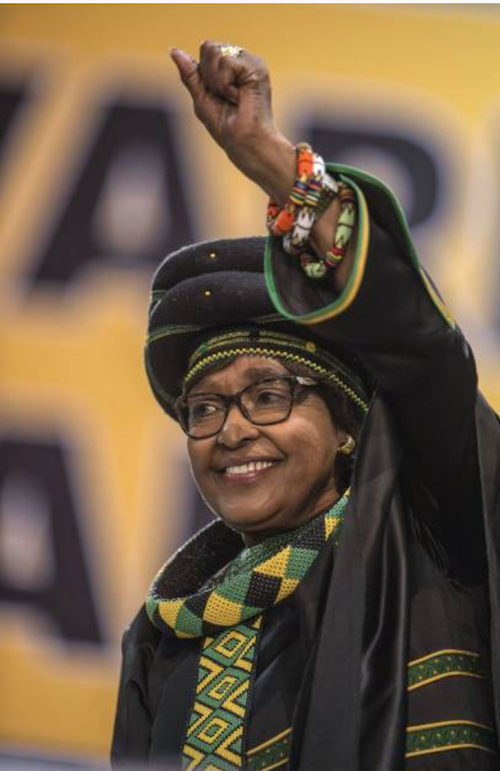 After his release and the start of the shift in equality and justice in South Africa, Winnie was known as the "Mother of The Nation"
Winnie spent Easter Sunday yesterday at a church in Soweto, Bishop Gary Rivas said at a press conference shortly after her death was announced. "She succumbed peacefully in the early hours of Monday afternoon surrounded by her family and loved ones," the statement said. "The Mandela family are deeply grateful for the gift of her life and even as our hearts break at her passing, we urge all those who loved her to celebrate this most remarkable woman." "She dedicated most of her adult life to the cause of the people and for this was known far and wide as the Mother Of The Nation," the family's statement added. While the end of apartheid marked the start of a string of legal and political troubles for Winnie, she once said, "I would do everything I did again if I had to. Everything."